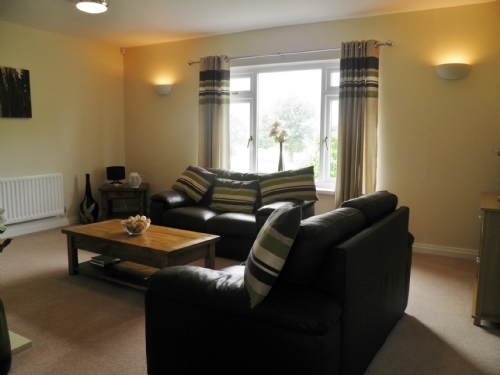 Meadowbank is situated on Hillcroft Park.Sleeps 4 in one double and one twin. Family bathroom. Open plan kitchen dining area. Lawn to the rear, with terrace and hot tub. Living room with TV, an electric fire and a media kit. Kitchen with dining table.Utility room. Outdoor seating area with views of the fells and off road parking for one car. 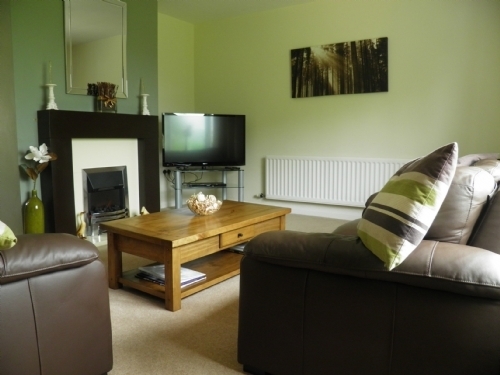 Short walk from shop and pub in Pooley Bridge, Meadowbank is set across one floor, offering a stay that is ideal for those with difficulty with stairs. Oil central heating, electric fire. Electric oven and hob, fridge, dishwasher and microwave. Washer and dryer. TV with Blu Ray DVD player. CD player with a selection of CDs and iPod docking station. Electicity and bed linen provided. Cot and highchair available on request. Off road parking for 1 car. Garden terrace with furniture and hot tub. Shops and pubs 15 mins walk.